Decoration Day has the same origin as Memorial Day in the United States. After the American Civil War, General John A. Logan created Decoration Day to commemorate the soldiers who died in the war. It was observed in May. 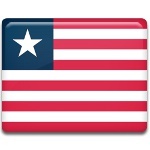 The memorial day was brought to Liberia by American settlers who founded a colony in 1820s and proclaimed the independence of Liberia in 1847. The date of the holiday was shifted to the third Wednesday on May. On Decoration Day, Liberians visit the graves of their ancestors, clean them, trim the grass, prune plants and decorate the graves with flowers and/or wreaths. It is the day for honoring ancestors and expressing appreciation and gratitude for all the sacrifices made by past generations. Decoration Day also commemorates heroes and heroins who gave their lives for the country’s prosperity. On the occasion, all the national flags are flown at half-mast to symbolize mourning. Being a public holiday, Decoration Day is an official non-working day in Liberia.